To ensure that your patients are receiving the best treatment, care, and outcome, Altapure should be a key component in your fight to eliminate hospital acquired infections (HAI). Fast treatment time (Less than 45 minutes, start to finish, for common patient room). Clinically proven “No Growth” on ALL treated room surfaces for: Virus, Vegetative Bacteria, & Bacterial Spores. Multi Room Capable - Able to treat connected areas & bathroom at same time. Furthermore, patients with HAI have longer length of stay (LOS; 21.6 vs 4.9 days), higher readmission rates within 30 days (29.8% vs 6.2%), and greater mortality (9.4% vs 1.8%).”   The consequence is increased pressures on healthcare providers both in terms of internal costs resulting from loss of government reimbursement as well as an increased risk of litigation and criminal liability. Multiple studies have documented that housekeepers often do not clean surfaces as recommended [67-71], and standard methods of cleaning and disinfecting surfaces in hospitalized patient rooms are often suboptimal. [50-51] For example, according to Drees et al. 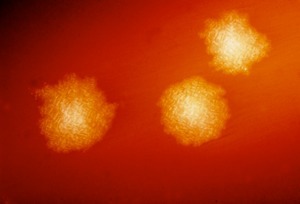 (2008), it is well known that Vancomycin-resistant Enterococcus (VRE) colonizes environmental surfaces and equipment, and may persist for prolonged periods despite routine cleaning [88-89] . Unlike competitive products, Altapure's high level disinfection system is able to rapidly achieve clinically proven “No Growth” results on ALL treated room surfaces: Bacterial Spores, Virus, & Vegetative Bacteria, in under one (1) hour for a standard patient room of 3,000 cu.ft..
Altapure's submicron sized droplets provide a gas-like diffusion of the treatment agent throughout the room, where the Altacare ™ cold sterilant is deposited as an “extremely thin film" on all surfaces. 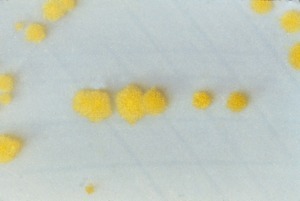 The result is a touch free / no touch high level disinfection system that is able to consistently deliver “no growth cultures” on all treated surfaces, even in large rooms, for bacteria such as, but not limited to, Clostridium difficile (C. diff), Vancomycin-resistant Enterococcus (VRE), Methicillin-resistant Staphylococcus aureus (MRSA), Acinetobacter baumanii, Pseudomonas aeruginosa, as well as viruses such as but not limited to, polio virus, influenza virus (Flu), coronaviruses, noroviruses, etc.. 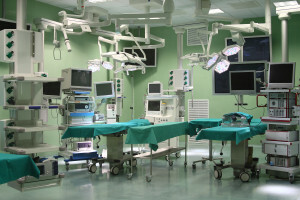 The Altapure system can be used to high level disinfect areas such as, but not limited to: patient rooms, ICU units, clinical rooms, exam rooms, neonatal units, operating rooms, catheterization laboratories, isolation rooms or wards, surgical prep areas, dialysis centers, HVAC ducts or conduit, equipment storage rooms, food preparation areas, laundry areas, and medical device cleaning areas, basically anywhere where surface and/or airborne contamination or infection risks are present. By using Altapure's products and processes, healthcare providers can reduce their legal risks, lower their costs, create a safer work environment for their employees, and most importantly improve their patient outcomes.